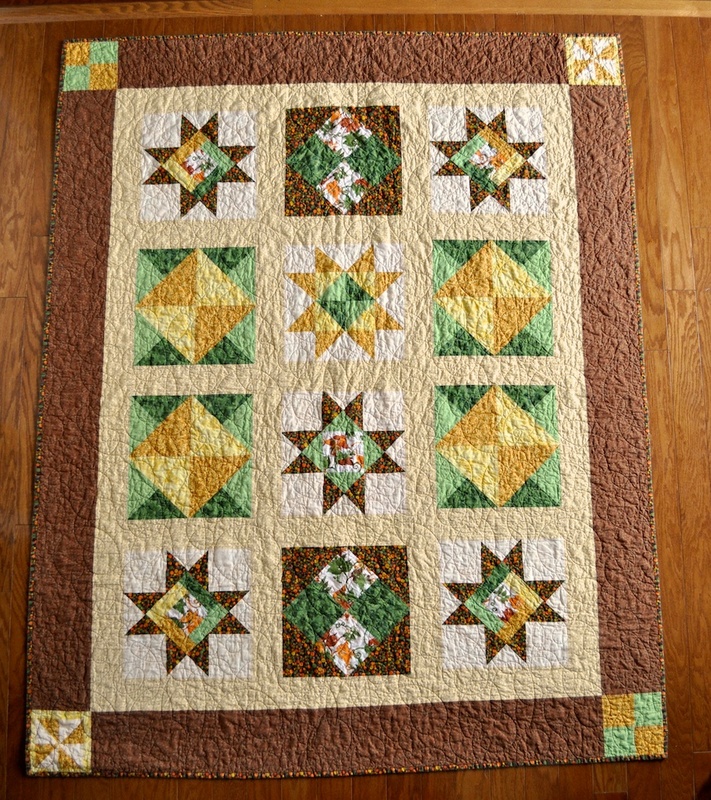 A few months back my friend Melinda brought some quilt tops and backings to the Roanoke MQG, looking for someone to quilt them and finish them off to be sent as Quilts of Valor. I decided to take them, and then the craziness that was this holiday season took over. But I am finally finished! 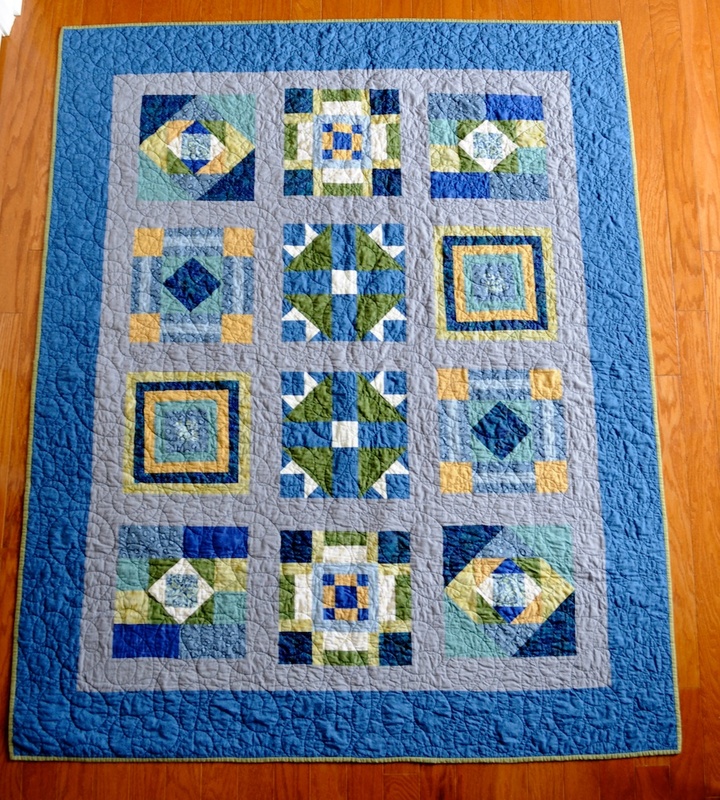 The second quilt Melinda called “Blue Ridge Fog”. 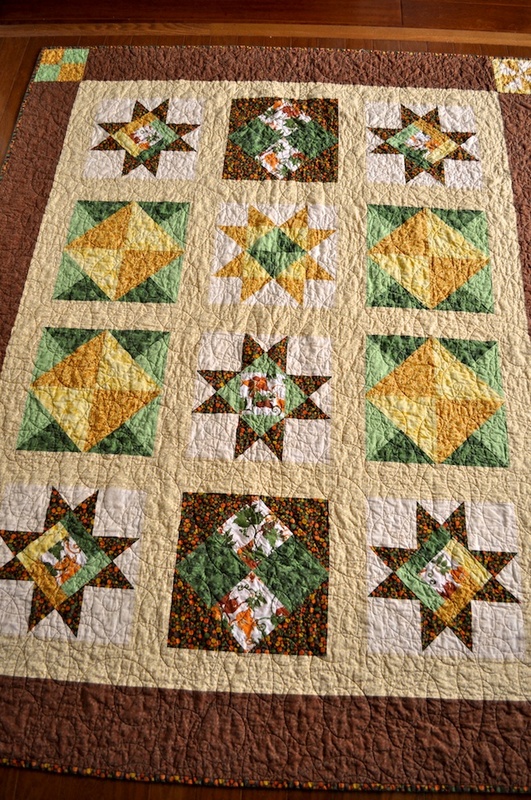 Again I used Signature quilting on this one. I bound this one myself using a green blender fabric. 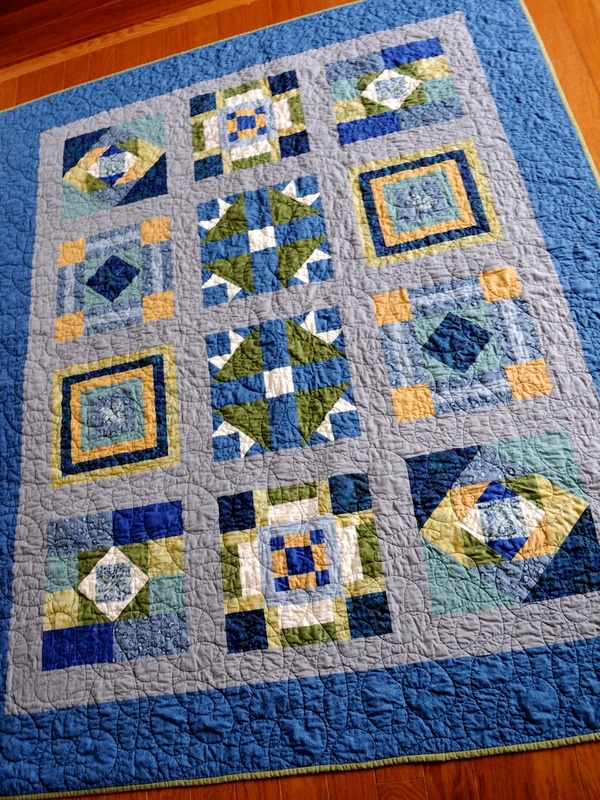 I got word the other day from the folks that coordinate the shipping of the quilts that I was to send them to a rehab facility in GA, for service personnel that have trouble adjusting to life back home after a deployment and are struggling with substance abuse issues. I am proud that these quilts will be helping someone at a dark moment in their life and I hope that they bring comfort and a feeling of love. Thanks for all those that helped put these together!